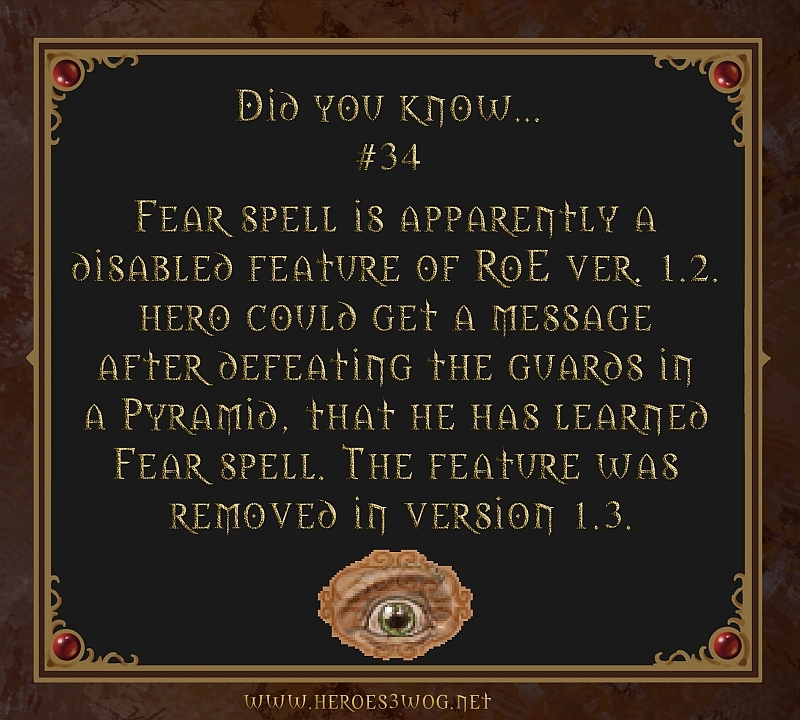 #34 Fear spell is apparently a disabled feature of RoE ver. 1.2. Hero could get a message after defeating the guards in Pyramid, that he has learned Fear spell. The feature was removed in version 1.3. 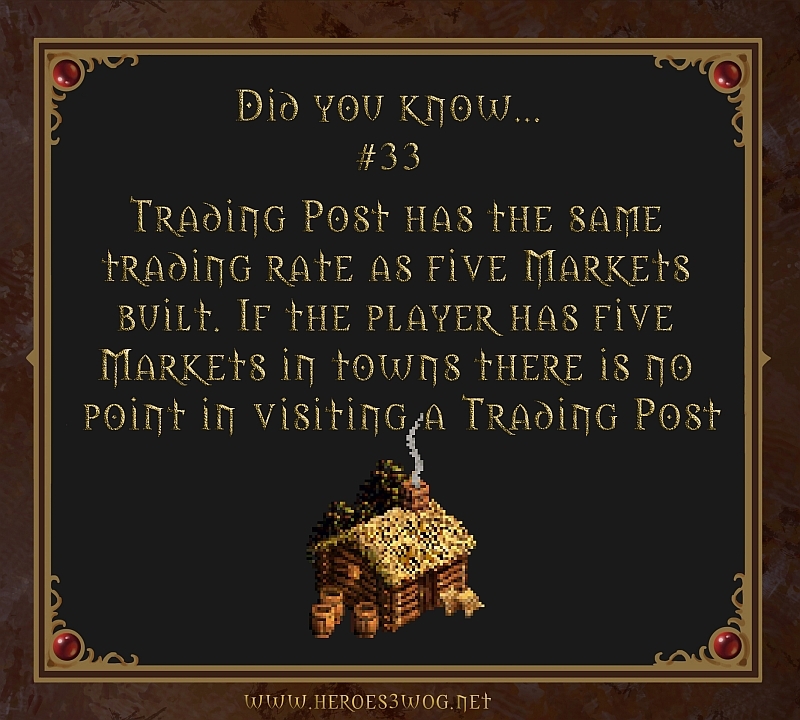 #33 Trading Post has the same trading rate as five Markets built. If the player has five Markets in towns there is no point visiting a Trading Post. 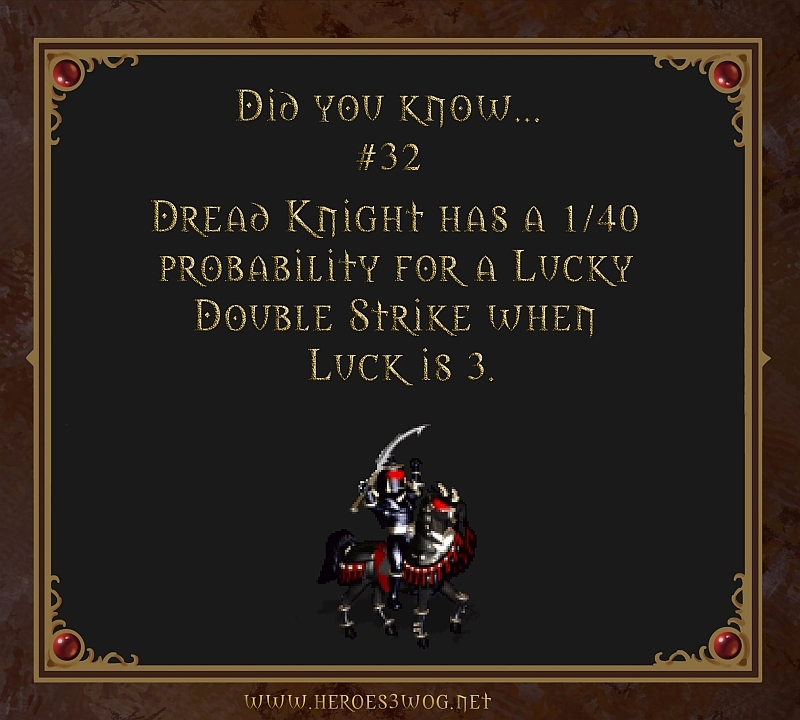 #32 Dread Knight has a 1/40 probability for a Lucky Double Strike when Luck is 3. 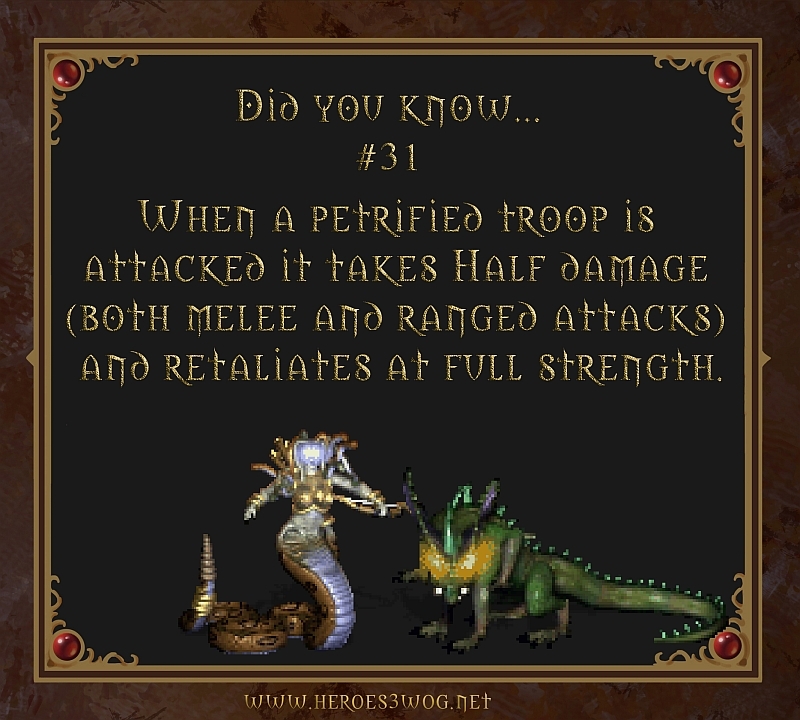 #31 When a petrified troop is atacked it takes half damage (both melee and ranged attacks) and retaliates at full strength.